Fifi the Fox is very in tune with nature. She understands nature is alive with music and song. Clever Fifi has a talent for weaving all sorts of useful items from nature, creating hats, bed mats and much more, which sing to her animal friends. One day, Fifi has an accident while escaping danger. Her friend Bob the Badger comes to her rescue, helping her to recover in a special way with nature's help. This accident changes Fifi's weaving life forever in a way she could never have imagined. A way which helps animals all over the world too. 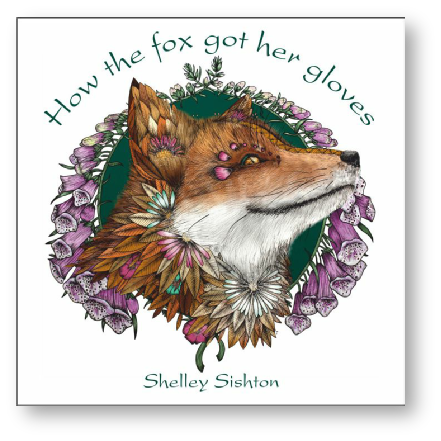 How the fox got her gloves is Shelley’s first published book and is a 44 page short story for children aged 8 - 108. It brings together her work with the wisdom of nature and flower essences and her love of animals who are the stars of her stories. Available now.